How to prepare ISO 9001 2015 Audit Checklist for QMS? Audit Checklist commonly known as “preparing the working papers”. The only purpose of creating audit checklist is to verify that the process is performing is according to plan or not. Audit Checklist is verification lists of all the information and questions that auditor wants to know during organizational implemented quality management system audit. ISO 9001 2015 Audit Checklist is a set of questionnaire required for quality management system certification that helps them in monitoring of the quality management system. 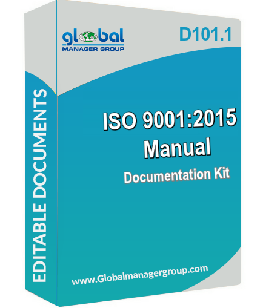 It is one of the prior requirements for any organization that implementing QMS 9001 system for the first time or converting current system for upgraded version of ISO 9001 standard for re-certification. The QMS 9001 Internal Audit Checklist is useful for internal audit for fast quality management system certification. ISO 9001 2015 Checklist includes audit questions based on ISO 9001 standard for Quality Management System requirements of each organization. It is also helpful to understand the system and control for controlling the system. ISO 9001 Requirement: As per primary need of any Certification audit checklist, QMS 9001 2015 Audit Checklist also has critical part of internal audit for ensuring that ISO 9001 requirements are in this process or not. 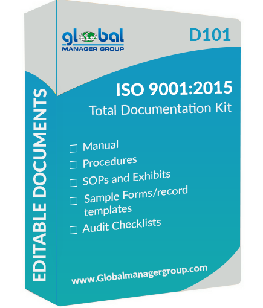 As such, including questions that will verify that the process is conforming to the requirements of the ISO 9001 standard is imperative. This is especially important if the process does not have a documented procedure associated with it. Process Overview: This approach allows looking at the elements of the process even if there is no documented procedure. The focus is to ensure that each part is understood, consistent, and supports the effectiveness of the process, as well as the other processes before and after the process. When the process approach was introduced to the ISO 9001:2015 standard, many auditors implemented a process overview style of audit. Process Objectives and Key Performance: All processes have some sort of indicator of the acceptable results. Verifying the process performance against these expected results can help you, as an auditor, to understand whether the overall process is performing as expected. It can also help you to understand how well the resources are applied and implemented if the indication shows that improvement is needed.